World Journal, the leading Chinese Newspaper in America, has announced that on the 5th year anniversary of LA VOICE, the prestigious karaoke contest is expanded to include contestants from the Entertainment Capital of the World… Las Vegas. The finals night will be held at the ORLEANS HOTEL & CASINO. LA VOICE was originally aimed at providing local talents in Los Angeles a place to perform and to make their voices heard by a large diverse audience. Starting this year, however, it will include 10 semi-finalists recommended by its Las Vegas partner, Asian Culture Alliance, through the musical program MUSIC ASIA. Any person or a group not exceeding 3 people, aged 12 and up, is eligible to join the Las Vegas leg of LA VOICE. Anyone under 18 must present a parent or legal guardian. Simply go to actvus.com and completely fill-out the online form and upload an audition video. 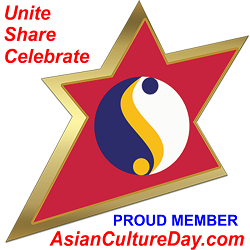 Asian Culture Alliance will review your registration and audition video, and if everything is in order, you will be scheduled to appear and perform in MUSIC ASIA, a live musical show of ASIAN CULTURE TV (ACTV). Registration is open from October 18 – November 7, 2018, and MUSIC ASIA performances will be slated for November 8, 15 and 29. The 10 Las Vegas qualifiers will meet their Los Angeles counterparts on December 22nd for the semi-final round at the Asian Culture Alliance HQ, at 333 S. 6th Street, Las Vegas, NV 89101. The 2019 LA VOICE Champion will take home $3,000 in cash plus other gifts. The First runner-up gets $1,500 in cash plus other gifts, while the 2nd runner-up gets $500 in cash plus other gifts. The most popular candidate gets $200 in cash. All 30 semi-finalists will be given a 2 nights’ accommodation in Las Vegas for the semi-finals and finals nights. For more information and registration, please go to ACTVUS.COM, or call 702.979.1388.